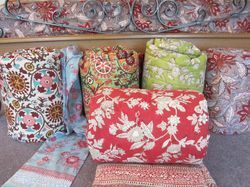 We are a leading Manufacturer of hand block printed quilts from Jaipur, India. 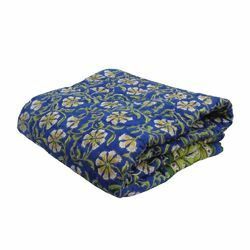 we are offerd a pure hand block printed and quality tasted arrey of sanganeri quilts.its very demanded.these product are available in affordable prices.and more colors,designs. 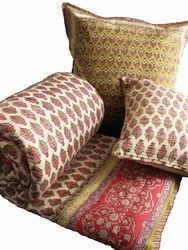 We have gained expertise in offering a quality tested array of hand block printed sanganeri quilts. 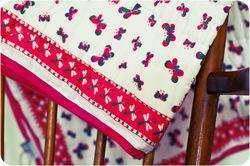 The hand block printed quilts we offer is designed beautifully under the skilled expertise of our designer. These products are suitable for various applications and known for its unique designs.